The Speedrooter is extremely tough, with the driving and pulling power for long difficult jobs. The robust frame is braced at key stress points, and it’s exclusive Flexicore® wire rope centre cable is well known for it’s legendary strength. 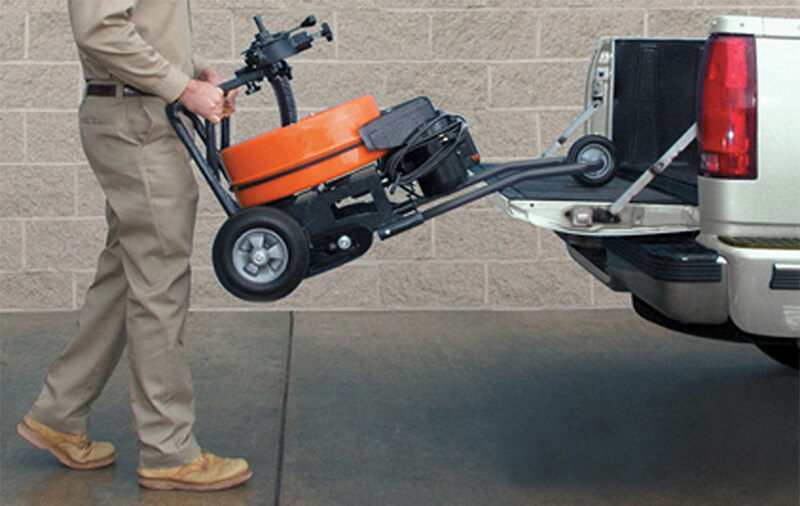 The Speedrooter’s field tested design offers hassle free handling, with one person easily able to load it onto a truck, as the machine slides smoothly from the loading wheel to the handle. 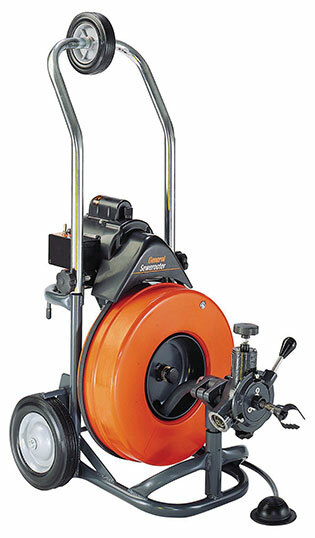 These Electro-Mechanical rotating blockage and root clearing machines are ideal for plumbers and contractors, clearing roots, grease, sand and scale from sewers. For detailed specifications, please download the product pdf. Heavy duty , powder-coated steel drum holds 100ft of half inch cable for inside lines or 75ft of five eighth inch cable for roots. Self aligning flexitube distributor tube reduces cable tangling. Heavy duty reinforced frame and drum support shaft takes rough handling in the field. Motor has plenty of power to handle up to 100ft of cable. Passive break system holds machine in place while operating or transporting.